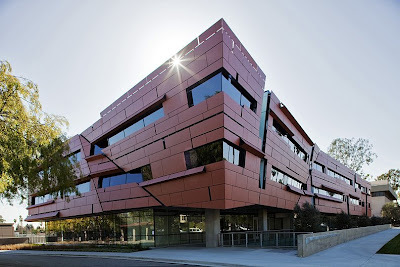 The new Cahill Astronomy and Astrophysics building at California Institute of Technology. 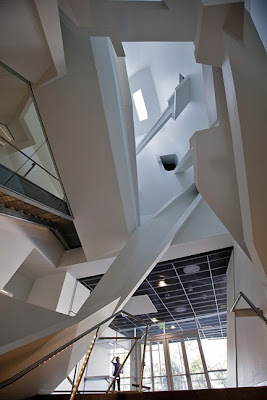 This building was designed by world famous architect Thom Mayne, founder of Morphosis based in Santa Monica. The three story 100,000 square foot building features orange/red panels that form unusual crack lines on the buildings sides. 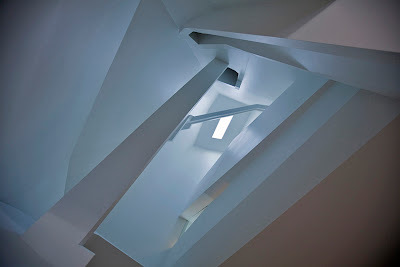 The buildings address is 1216 California Blvd. 1216, in angstroms, is the wavelength of ultraviolet light emitted by hydrogen atoms. 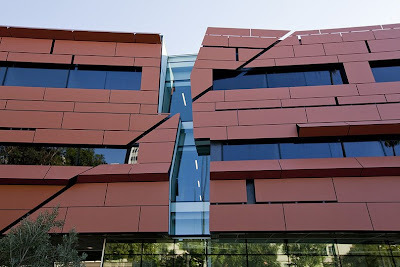 Some of the buildings critics say that it has a look of being damaged by an earthquake, others say it is too tame of a design from Mayne.